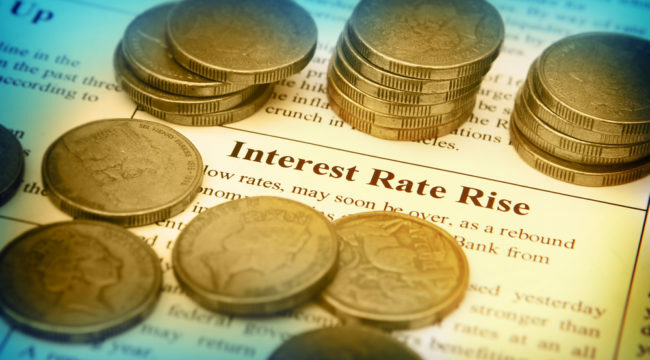 Just How Low Are Today’s Interest Rates? “How is your wife?” someone supposedly asked Winston Churchill. Today’s interest rates are low. Interest rates are low… compared to what? The Federal Reserve has been lifting the nominal fed funds target rate since December 2015. It currently rests between 1.50% and 1.75%. That is, nominal rates remain low. Nominal interest rates averaged a Himalayan 12.5% or thereabouts. That is, the nominal interest rate was some 8.5 times higher in 1979. But could it be that today’s puny 1.50–1.75% rate… is “really” higher than 1979’s 12.5%? A preposterous question, you thunder. The real interest rate is the nominal interest rate minus the inflation rate. Assume the nominal interest rate is 3%, for example. Further assume that inflation runs at 1%. In this instance, the real rate is 2% (3 – 1 = 2). There is a reason why it is called the real interest rate. It penetrates numerical mists. It scatters statistical fogs. Nominal interest rates averaged 12.5% in 1979. We take 1979’s average nominal interest rate (12.5%) and subtract the inflation rate (13.3%). We then come to the arresting conclusion that the real interest rate was not 12.5%… but negative 0.8% (12.5 – 13.3 = -0.8). The average nominal interest rate was 12.5%. But the real interest rate was -0.8%. We can only conclude that real interest rates can be negative despite a high nominal rate. Negative real rates exist when the rate of inflation is higher than the nominal interest rate. This condition can exist at any level of nominal rates. For example, inflation of 3% with nominal rates of 2.5% produces a negative real rate of 0.5%. Likewise, inflation of 4% with nominal rates of 3.5% produces the same negative real rate of 0.5%. Today’s nominal rate is between 1.50% and 1.75%. Meantime, (official) consumer price inflation goes at about 2%. Again, if we want the real rate, we must subtract inflation from the nominal rate. What do we find upon doing so? We find that today’s real interest rate lies somewhere between -0.5% and -0.25%. That is, despite today’s vastly lower nominal rate (12.5% versus 1.75%)… today’s real interest rate is actually higher than 1979’s -0.8%. Shocking — but the facts are the facts. We must once again conclude that the nominal interest rate lacks all meaning absent the inflation rate. Yet the difference between nominal rates and real rates scarcely rates a mention in the financial media. A 10-year Treasury bond yielding 6% may draw your interest, for example. But what if inflation averaged 7% over the same period? Inflation would devour your 6% yield — and then some. You would require an 8% yield to keep ahead of inflation. It now appears the Fed has cracked its blessed 2% inflation target. And it is planning a steady calendar of rate hikes until it reaches 3% by late next year. We have our doubts it will arrive at the destination. Another market “correction” could easily knock it off course. And the economy is long past due for a recession. Can the current “expansion” peg along for another year and one half? We are far from certain. Mr. Powell and his merry band would certainly return to lowering rates in case of recession. But go ahead and assume a nominal 3% rate at the end of 2019. Assume further — as the Fed currently does — that inflation will average 2% in 2019. The math reveals a real rate of only 1%. Meantime, the nation’s average long-term real interest rate is about 3%. Even if nominal interest rates rise, real interest rates would therefore remain substantially below normal. And it could be a long time before they return to normal.